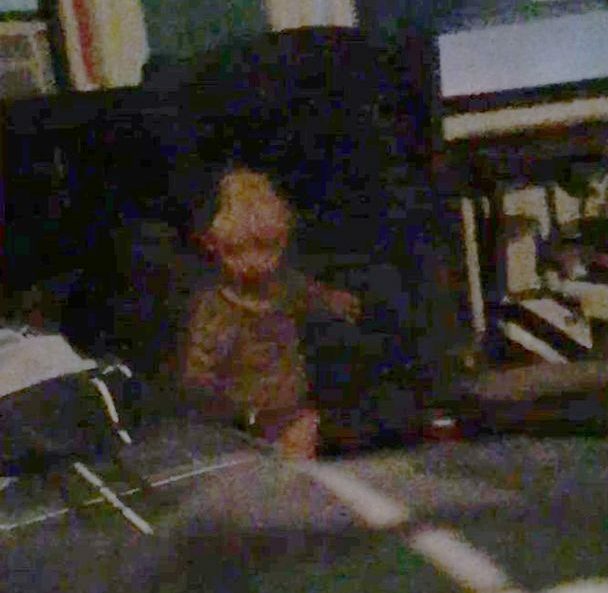 The ghost of a child is supposedly haunting a man’s flat, and he now has photos to prove it. 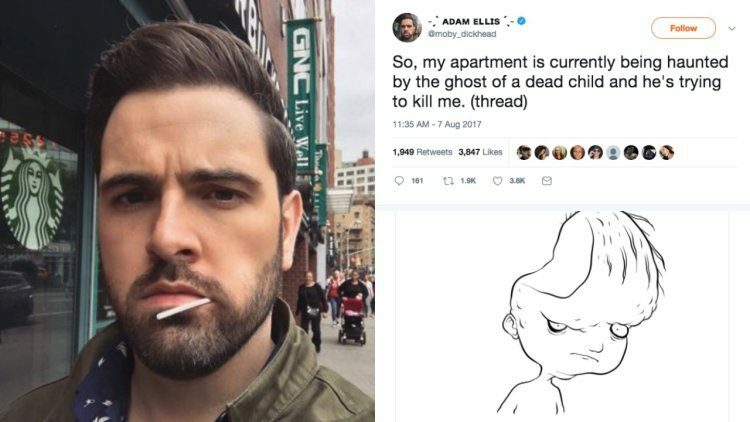 Adam Ellis, who lives in New York, achieved viral fame when he started documenting the paranormal activities allegedly occurring in his apartment, on social media. He claims that the ghost initially appeared in his dreams, but has somehow crossed over to the real world. Adam’s bizarre expereinces began last month when he started documenting his vivid dreams featuring a deformed child, on Twitter. 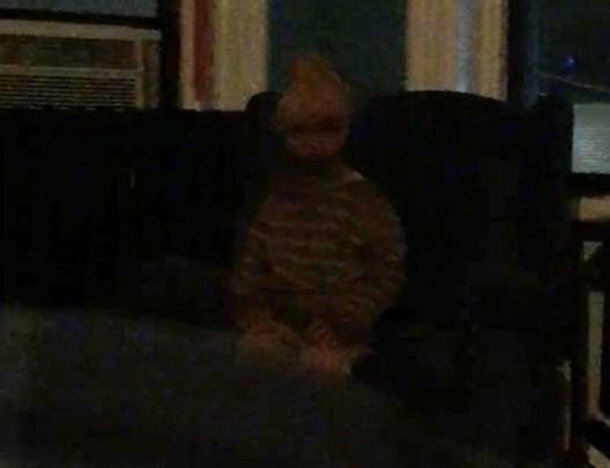 He claimed the child, called David, had a misshapen head and would sit in a green rocking chair at the foot of his bed while he experienced sleep paralysis. 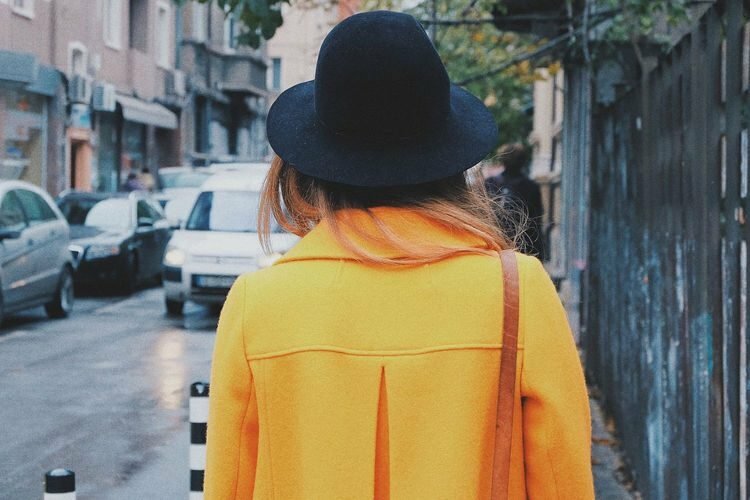 The horrifying story quickly captivated the masses and amassed a following of thousands on Twitter, with the initial thread already shared over 50,000 times. Shortly after that dream, David appeared to him again, and Adam asked him how he died, learning it was an accident in a store when someone pushed a shelf onto his head. Adam claims that after mistakenly asking the third question, the child attempted to kill him in the dream, and he woke up petrified. He researched David’s story online but was unable to find anything. It’s been pretty quiet tonight. I’m gonna try out a sleep talk app to see if anything happens during the night. Adam moved to a vacant apartment in the same building later that month, and for a while, all the paranormal activity stopped. But the story took an even spookier turn when Adam installed a surveillance camera in his new apartment. The cameras have captured footage of several objects, including the green rocking chair, moving while he wasn’t home. “It’s basically a nanny cam that connects to the wifi, so you can check in whenever you want. 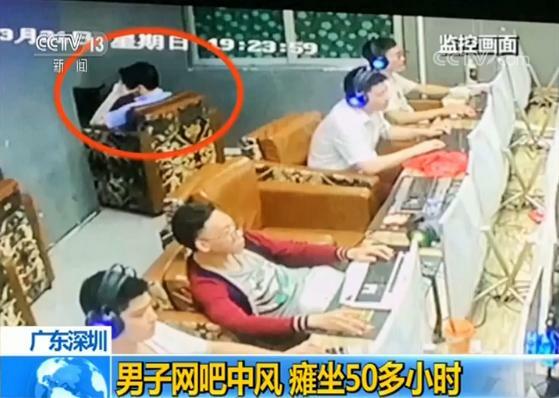 It runs 24/7,” he explained via Twitter, adding that the camera sends an alert to his phone whenever it detects movement in his apartment. Then, around 11, it alerted me again that it detected motion, but when I checked the feed of my apartment, I didn’t see anything. Around 11 pm, however, things got creepy again. In the clip, Adam’s cats seem to be battling an invisible being. Meanwhile, a cup slides, seemingly by itself, several inches across his coffee table. 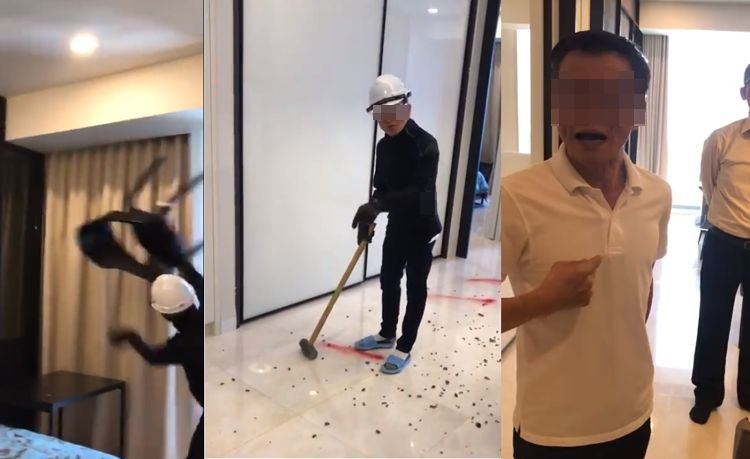 Half an hour later his phone pinged again, and this time the footage showed a souvenier turtle shell mounted to the wall suddenly fall. Adam turned his phone off at that point and stopped checking alerts. In the most recent update on the Twitter thread, Adam claims that he has had yet another experience with the ghost. He described a nightmare in which once again David was sitting on the chair at the foot of his bed, while he was almost completely paralyzed. When he woke up the next morning, he checked his phone, and discovered dozens of dark photos of the roll, indicating that his experience had been more than a nightmare. He shared the pictures on Twitter and told his followers to turn up the brightness on them. 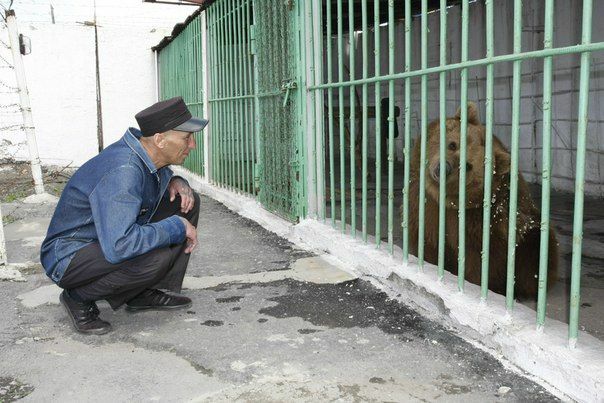 What the photos reveal is truly horrifying. I will admit that the whole story sounds very creepy, but as to how true it is… How much can you trust a guy with the Twitter handle “moby_dickhead“? To follow Adam’s story, keep an eye on his Twitter.